Carson Messinger offers its clients wide-ranging litigation services provided by lawyers with extensive and varied litigation backgrounds. The firm represents both large and small businesses, individuals, general contractors, sub-contractors, suppliers, banks, hotels, insurance companies, commercial and residential land owners, taxpayers, utilities, pension boards, mortgage lenders, developers, real estate agents and brokers, employers, employees, foreign interests, retailers and governmental entities in cases before the federal and state courts at the trial and appellate levels in Arizona, California, Texas, Nevada and elsewhere, as well as before a variety of administrative agencies, arbitration panels and mediators. Members of the firm have prosecuted and defended matters ranging from large commercial real estate disputes to utilities regulation and zoning. The firm’s litigation experience includes matters involving complex construction lawsuits, landlord-tenant relations, environmental law (state and federal), personal injury law, RICO, insurance law, professional negligence, directors’ and officers’ liability, fraud, taxation, contracts, personal and real property law, foreclosures (consensual and non-consensual liens), receiverships, extraordinary relief, constitutional law, Uniform Commercial Code, banking law, collections, probate law, business torts, patent, trademark and trade name infringement, and numerous other areas. The firm is especially cognizant of the growing and well-founded concern with the costs associated with litigation. The members of the firm pride themselves on never losing sight of the legal and economic interests of the firm’s clients. 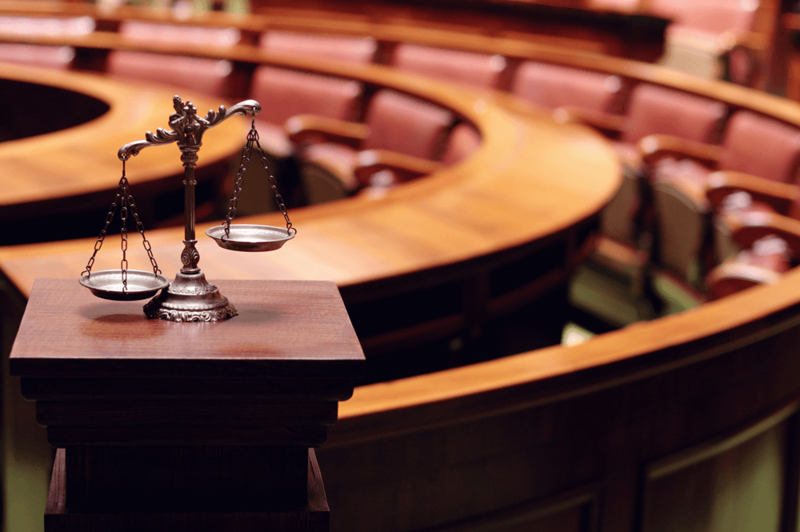 Depending on the case and the needs of the client, we employ techniques to reduce the costs of litigation whenever possible. We evaluate each case from the perspective of our client’s legal and economic goals, and view litigation as a joint effort between the firm and its clients to bring conflicts to a just, speedy and economic conclusion.